It seems that nearly every review I’ve done recently has been about a generation gap. Perhaps because there’s so much talk – nay, criticism (most of it unjustified) – about how contemporary generations compare to their predecessors and I unwittingly got swept up in it? Whatever the reason, older folks seem to think this is the End of Days with these damn kids running things. But, as so often happens when one reaches a certain age, most of those criticising have lost touch with what it was like to be that age; particularly the criticism they faced from their elders. Every generation will be a disappointment to those who came before because of the simple fact that they aren’t those who came before. Their music is different, their clothes are different, their morals are different, their priorities are different – they are different. And if I’ve learned anything from reintroducing myself to Greek mythology over the past four years, it’s that older generations can save themselves a lot of headaches (and heartbreak) if they try to work with the younger generation, rather than shunning them. The flip side to this is to be wary not to mistake an association with the young for a second youth. 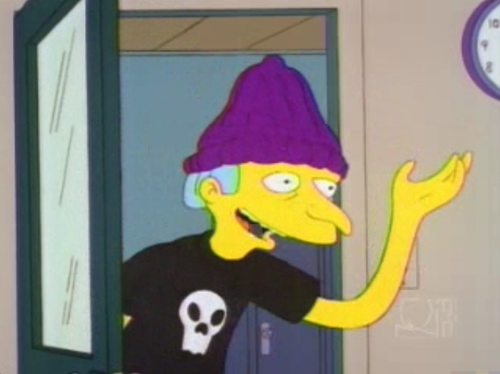 I’ll let you decide if an adult trying to pretend he’s one of the “hip young kids” is worse than one who hates kids. But, on the years go and change the times do. The devil-may-care-ishness of youth gives way to some sense of grounding in adulthood. All those years spent “finding yourself” give way to making peace with who you are, as opposed to whom you wanted to be. And yesterday’s sowing of oats and part-time jobs give way to steady (if not happy) relationships and 9-to-5 drudgery. But that doesn’t mean we can’t still have a party, right? At first glance, you would never guess the vivacious Beverly (Susi Damilano) would ever be tied to a stuffed shirt like Laurence (Remi Sandri). When we first see them, Laurence is still wearing his business suit and tie, which he will not take off. Bev is wearing silk tourquoise v-neck dress that clings to her ample figure in a way Laurence hasn’t in quite some time (if ever). Since their 15-year-old neighbour Abigail is hosting a raucous party for all of her friends, Bev has decided to host one of her own, much to Laurence’s chagrin. The guests include the daft Angela (Allison Jean White), her handsome new husband Tony (Patrick Kelly Jones), and young Abigail’s mother Susan (Julia Brothers). Before the night is over there will be drinks, there will be dancing, there be vomited-up hors d’œuvres. But one thing is certain: the wild soirée next door will be nothing compared to how this party ends. 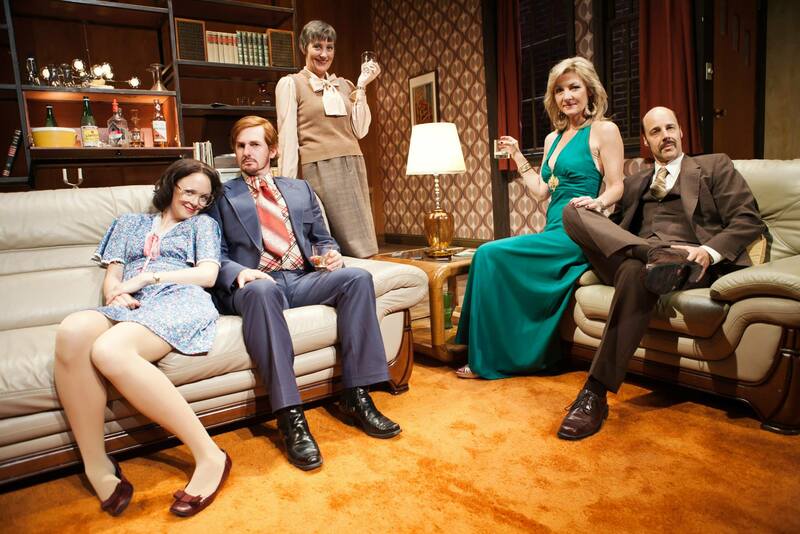 It’s to the credit of director Amy Glazer, SF Playhouse’s Associate Artistic Director, that a 36-year-old made-for-tv play still feels of its time without being a forced nostalgia piece. With sets by Artistic Director Bill English and costumes by Tatjana Genser, the production values feel more of a window into another time that a hollow reconstruction. Mind you, this is coming from someone who wasn’t alive at the time and therefore can’t authenticate from first-hand experience. Still, for my part, I will say that I didn’t get a “cheesy ‘50s (or ‘70s) diner” vibe from this production. That just leaves the script itself. Glazer wisely steers the production from any noticeable hindsight or self-reference, but there’s still a sense of mean-spiritedness to be found in Leigh’s script. Whereas the novel and film of The Ice Storm could rest their criticisms on the fact that they were looking back on a specific era, Leigh’s script was written right in the middle of the era. Both stories begin satirically before ending tragically, but Leigh’s script works better as a satire of the English middle class. Throwing in tragedy at the end seems more the act of a desperate writer with no idea how else to conclude his story (indeed, the play doesn’t end so much as it just stops). Having said that, the characters who inhabit this ground-floor are nice to watch, for the most part. The play lives or dies in the portrayal of Beverly and Susi Damilano is clearly having as much fun playing it as we are watching it. Not so much a character as force of nature, one can’t their eyes off the energetic Damilano when she’s onstage, and can’t for her to return when she’s off. Over-the-top enough not to chew the scenery, the ribald (and randy) Bev is the woman you know will be the life of every party. Yet, Damilano gives her a sadness that suggests her best partying days might be behind her; that she used to be life of parties like the one next door. The rest of the cast aren’t given characters as wild as Bev, but they are nonetheless performed well. Her conservative husband Laurence (Remi Sandri) and equally reserved neighbour Susan (Julia Brothers) serve as perfect foils for Bev’s theatrics. A comedy manners functions just as much on the reactions of Straight (Wo)Men as they do The Fool. To that end, the two actors perfectly counter Damilano’s antics. So too does Allison White’s ditzy Angela serve as the perfect enabler to Bev’s antics. The only one to come short is Patrick Jones as Tony. Though is character is meant to be one who plays it close to the vest, Jones doesn’t seem to have a mind for theatre performance. He occasionally fails to “cheat out” to the audience, he mumbles his lines, and the few that are heard tend to slip back into an American accent every now and then. Between that and a script that takes an unnecessarily dark turn toward the end, the play isn’t perfect. 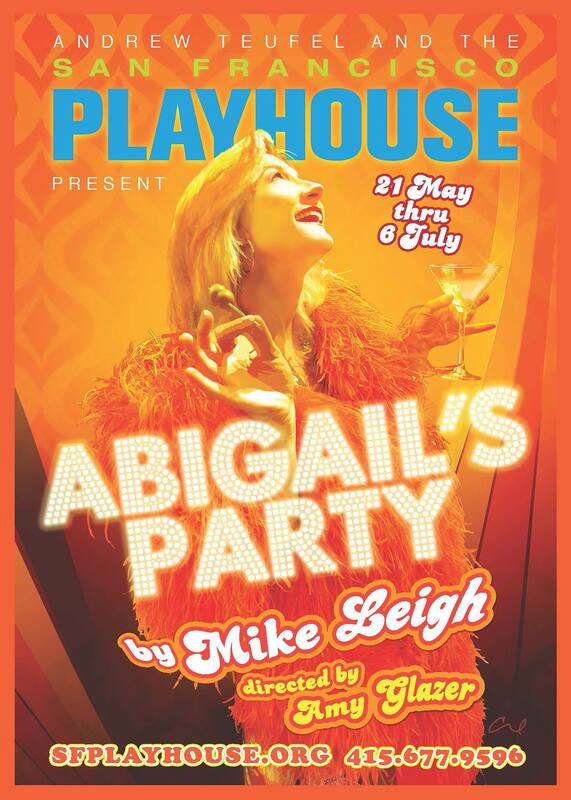 But with hilarious dialogue and a truly winning performance by its leading lady, Abigail’s Party did not make for a boring night of theatre.